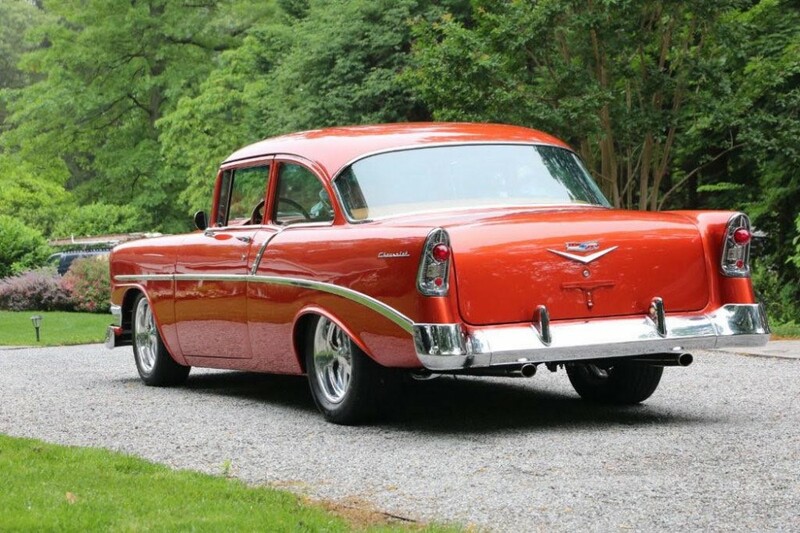 Now available by The Motor Masters is a 1956 Chevrolet Bel Air 210 Restomod for sale. This is the NICEST ’56 Chevy I have EVER Seen!! 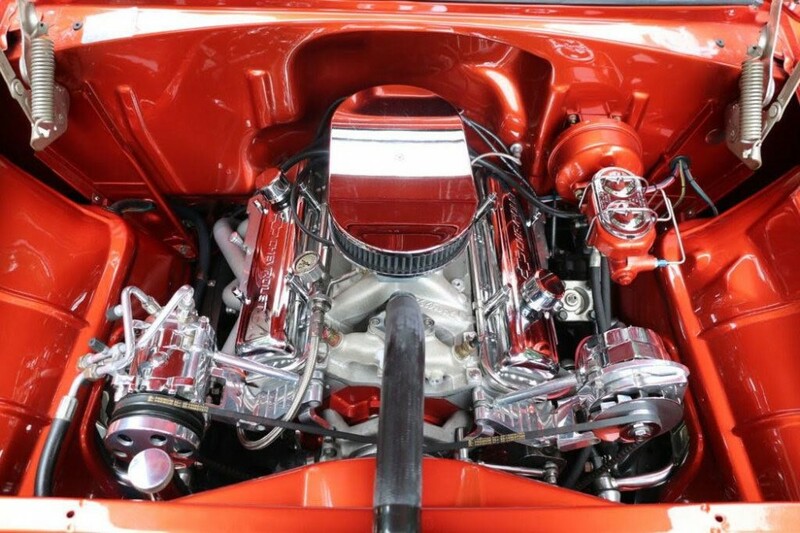 There are a lot of nice rods out there, but when you see a pro-build piece like this incredible 1956 Chevy 210, you’ll be astounded by the level of fit and finish. There’s something special about a car that has been so carefully designed and expertly fabricated that you won’t be able to resist showing it off every chance you get. Shoebox Chevys will never go out of style, but it’s hard to make a rod that will withstand the passage of time. Fortunately, this one delivers. 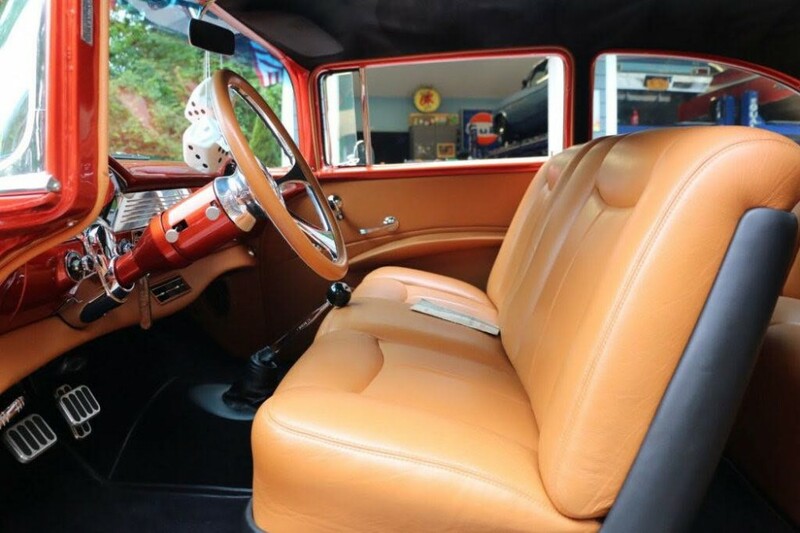 The handsome good looks that the factory built into every ’56 Chevy come through loud and clear, with no major alterations to the Sheetmetal, and the original trim intact. The two-stage PPG pearlescent flame orange finish, which was borrowed from the Plymouth Prowler, looks so right on the vintage Chevy bodywork that it will never, ever become the pastel turquoise of our generation. Workmanship is superb, with panels straight enough to calibrate NASA’s instruments and paint that looks as deep as Lake superior. All the factory trim was restored to show condition, including the bumpers, grille, side trim, and you can imagine how expensive that kind of work really is. As you can see, the undercarriage of this car was also restored to the highest possible standard, and you’ll be truly hard-pressed to find a nicer, more detailed undercarriage at just about any show you go to. Fit and finish a remarkable, it’s obvious that this car has not been driven significantly since it was completed. This Chevy is off-the-charts nice and has been featured in the April 2010 issue of Hot Rod Magazine, so you know it’s spectacular. 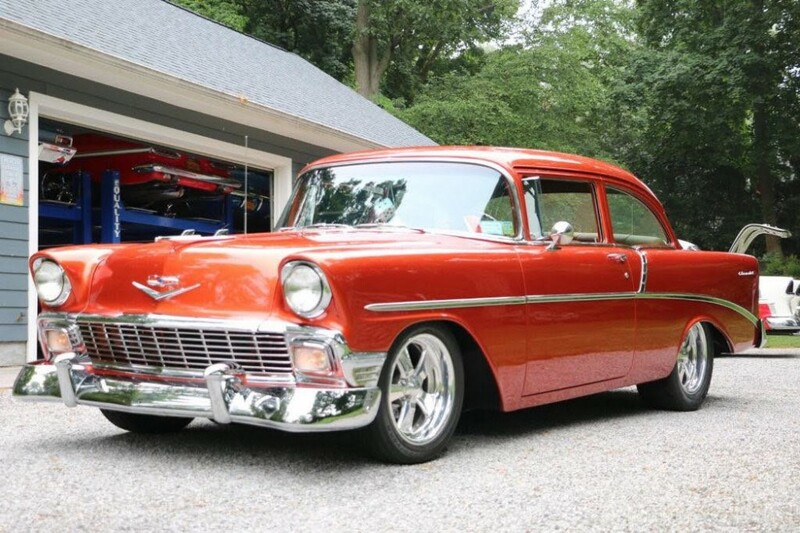 This Bel Air 210 is stunning! It is priced right and won’t last long, so give us a call TODAY!